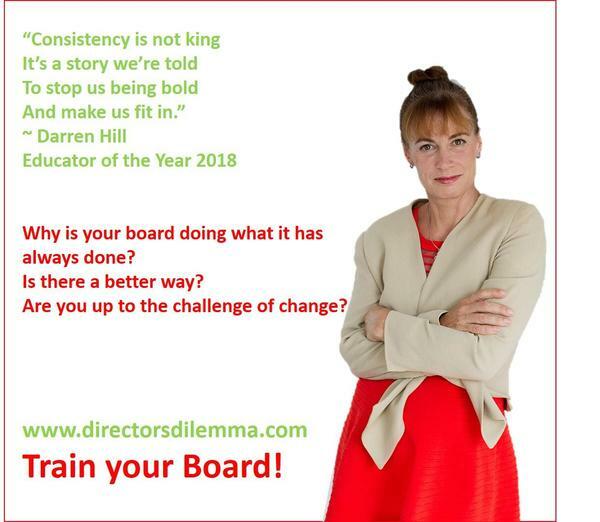 Disrupt your board – ditch old procedures and try something new! By Julie Garland-McLellan, Consultant at AltoPartners Australia and non-executive director and board consultant based in Sydney, Australia. Why do we run every board meeting the way we ran the last one, and have run every preceding one since the 1990s? Is it possible that, for some boards, some decisions, some conversations, there might be a better process? Disrupt your board; you don’t always have to do what you have always done in the way you always did it. Ditch old procedures and try something new. When you are making strategic decisions, you need a strategic process that will take you out of the everyday to the possible future. When you are discussing an emotionally charged and potentially divisive issue, you need an inclusive process that will make every director feel safe, valued, and included. Good governance does not have to be predictable. It is an outcome of a process that should be tailored to fit. Good meeting procedures allow for flexibility and a creative chair will design meetings to reach an outcome. Understand the rules before you can redesign your process; the Corporations Act and most company constitutions allow discretion. Disrupt your process before someone disrupts you!